Regular haircut is a healthy habit for men and women to keep themselves clean and look attractive. But, visiting salons every now and then for trimming or haircut becomes a costly deal. Look charming with the style of haircut or trim cut you want with the latest hair clippers available in the market. With a variety of models, it can be difficult to choose the right hair clipper for yourself, so take a tour of the hair clipper gallery on DealsCorner and check out the various models available. At DealsCorner, you will be able to find products from all major online stores in a single platform. Enjoy the facility to compare the prices offered by various online stores, and buy the product of your choice in the lowest price range available in India. Most of the men use the hair clippers to shave or trim their hairs at home, instead of visiting costly salons to save money and time. The hair clippers are safe and efficient tool which can be used for men, women and kids. Even professionals who own barber shops also use the same hair trimming tool for cutting hairs or trimming the beards. Invented in 1919, the hair clippers have been very popular all over the world. Some of the models are battery charged while some need electric power outlet. With better charged models, you have the flexibility to use it when and wherever you want. But, before using the battery charged hair trimmers, it should be fully charged. Hair clippers which run on electric do not need prior charging and you can plug it to any nearest power outlet and trimming or shaving your hair. But, while using the electrically charged units, one should ensure that it should be kept away from water, like shower so that it does pass current or overheat. 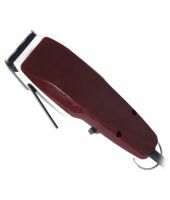 Both the models of hair clippers have motor in the plastic insulated body, which rotates the blades to the cut the hair. The blades used in the hair clippers are made up of stainless steel or ceramic. You can find models with adjustable blades, so that you can cut any length of hair with ease. There are plenty of accessories which can be used with the hair clippers, depending on the type of model and make. 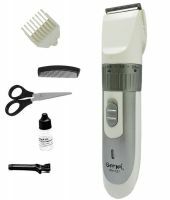 Some of the popular accessories that you can check are hair trimmer guards, shears, combs, brushes, oils, and CDs on how to use the trimmer. Buying hair trimmer or clipper is easy task, but finding the good quality hair clipper in a reasonable price range is important. You can find hair trimmer from local stores also, but most of the local stores have limited stock or local brands with high price range. Instead of visiting local stores and getting confused with the varying price range, enjoy your shopping sitting at home. You can find all sorts of hair clippers from different brands and online stores on the single platform at DealsCorner. At DealsCorner, you can compare the products, prices offered by various online stores and then choose the product of your choice. Shopping at DealsCorner is simple and easy. You are just few clicks away from your desired product. Enjoy your shopping and keep posting your reviews.